Group Leisure gears up for St Patrick’s Day by providing some to-do ideas for groups who are planning a future visit to Ireland. Ireland’s popular celebration of St Patrick’s Day, on Friday 17th March, comes ever closer – but don’t worry if you haven’t made specific plans. Here, we provide some ideas in Ireland’s three most popular cities for groups to take advantage of – not just this week but at any time in the future. Where to stay: Visiting during the summer? Enjoy a cheap city centre break by making a group booking at Dublin City University. It sleeps up to 700 at one time during the months of June to September. Groups with a wider budget can choose from a number of hotels at the heart of the city – ideal for those wanting to explore Dublin on foot. Where to eat: For a fine dining experience in Dublin head to Chapter One, located in the city’s Parnell Square. The award-winning restaurant serves a variety of artisan dishes including seafood, meat and vegetarian options. Group menus are available. 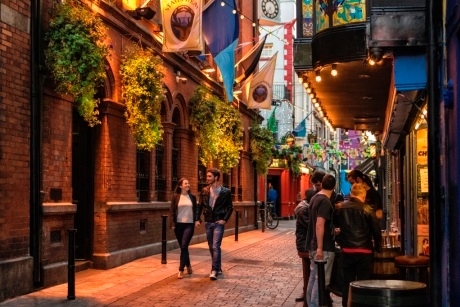 Where to drink: Those after a taste of a traditional Irish whiskey should stop in at Dublin’s Palace – a traditional pub down Fleet Street that boasts a selection of 50 Irish whiskeys. Must do: The Irish Whiskey Museum is an interactive tour through the rise, fall and resurgence of whiskey in Ireland. Groups, led by a guide, can enjoy stories about whiskey from the 1800s to the present day, before finishing up in the bar where whiskey cocktails and Irish coffee can be enjoyed. Where to stay: A number of hotels in Cork centre cater for groups – like the Premier Inn or Jury’s Inn. 15 miles away, for those who’d like more of a country retreat, is Wellpark House – a four star Georgian country house that makes a great base for those groups looking to explore the countryside around Cork. Where to eat: Elbow Lane in the city centre is a restaurant that includes an in-house nano brewery, where Elbow Lane craft beer is created. Food comes in the form of a smoky selection of steaks and seafood, with vegetarians also catered for. Where to drink: The Mutton Lane Inn is one of the oldest drinking establishments in the city of Cork, candle lit and without a television, in order to encourage conversation. Top tip: before heading inside take time to look at the wall mural outside, which depicts many local stories. Must do: Head to Baltimore for a whale watching experience. There are many boat tours to choose from leaving from Baltimore Harbour in either the morning or afternoon. Expect to see mink, fin and humpback whales and sometimes even dolphins and porpoises. Where to stay: Groups might like to base themselves near Eyre Square, a public park within the city centre of Galway. The Eyre Square Hotel has 51 bedrooms and is only a short walk away from this bustling area. Where to eat: Loam is a Michelin-starred restaurant located in Fairgreen, Galway City. The restaurant’s menu changes daily but sample dishes include oysters, duck and venison. Groups going all out can opt for a decadent seven-course tasting menu. Where to drink: Cosy pubs are the order of the day in Galway and groups won’t have trouble finding one. Tigh Fox on Forster Street, for example, offers an array of local, national and international brews that can be enjoyed while listening to some live traditional Irish music. Must do: Venture out to the Aran Islands. Each of the three islands has its own character and can be explored on foot. 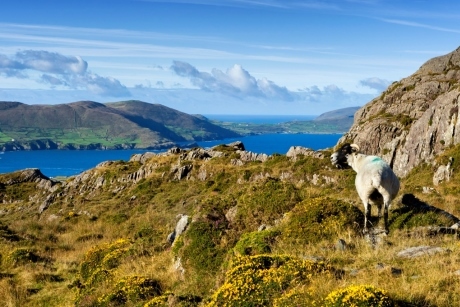 The traditional language of Irish Gaelic is spoken across the island, which means visitors can get a real taste of Irish culture during a visit. 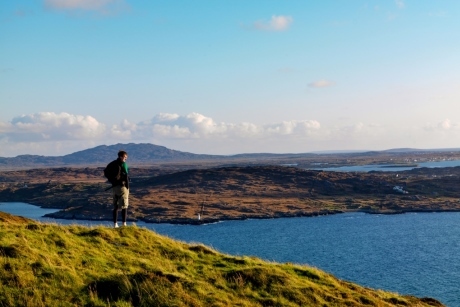 These ideas have been suggested by holiday provider Ireland Luxury Travel. Galway was voted European Region of Gastronomy in 2018 and with an abundance of artisan producers, farmers markets and award-winning restaurants, it’s no wonder. Here are some of the best sights in Northern Ireland, from man-made masterpieces to nature’s most impressive landmarks. We round up ten great historical attractions and locations that your group should consider when visiting Ireland’s ancient east.